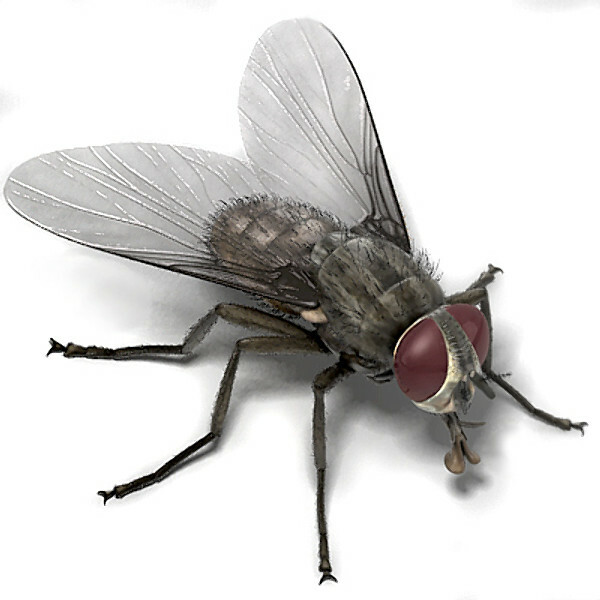 The common House fly is medium sized (1/6 to 1/4 inch long,) generally gray in color with the female usually large than the male. The thorax bears four narrow black stripes. The female fly has a much wider space between the eyes than the male. House flies are often confused with Face flies. The house fly passes through four stages in its life cycle: egg, larva, pupa and adult. The female of the species can be seen depositing their eggs on suitable breeding materials. Often, the females can be seen in clusters of up to 50 individuals. The female house fly lays individual eggs that pile up in masses of 75 to 150 eggs; in her lifetime, a single female house fly may lay up to 900 eggs. The female fly begins laying her eggs anywhere from 4 to 12 days from emerging from her pupae. She may lay 5 or 6 batches at intervals of several days between each. 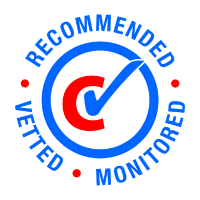 If you have had a previous rodent issue. Inspecting for potential dead rodent carcasses may be founded. 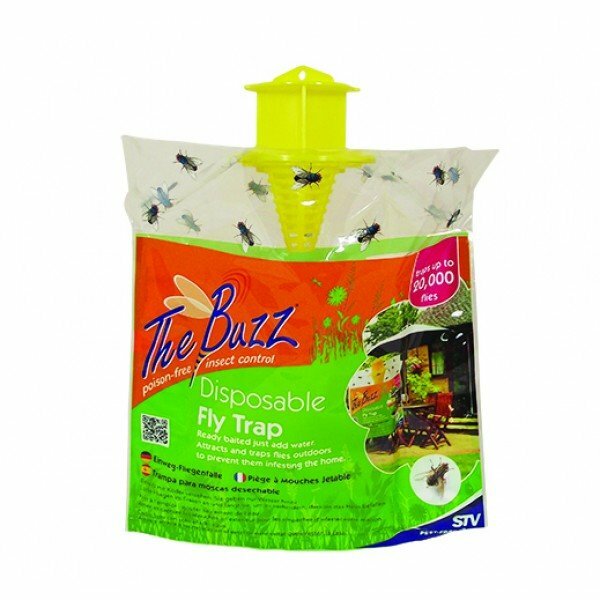 This can save you money on pest control callouts an will potentially remove the House Fly problem. If you are unable to find the source of the infestation. Its time to call for professional help. 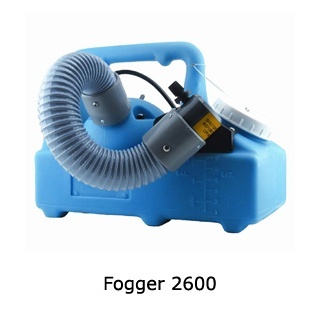 Fogging or smoke generators are by far the most effective ways to get rid of House Flies.